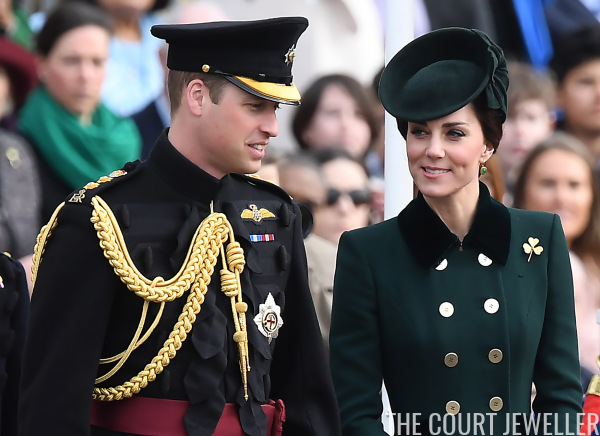 William was appointed Colonel of the Irish Guards shortly before his wedding in 2011. 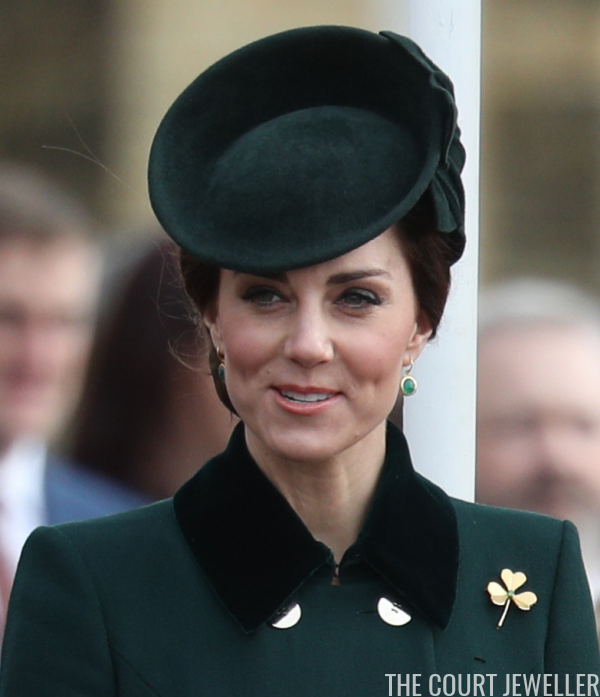 He and Kate have made several St. Patrick's Day appearances in the years since to distribute shamrocks, and Kate always wears the same brooch: the gold and emerald shamrock brooch on loan to her from the regiment. 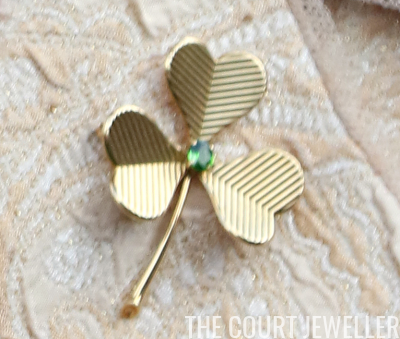 The brooch was previously worn by the Queen Mother and the Princess Royal. The human members of the Irish Guards weren't the only ones who received shamrocks. 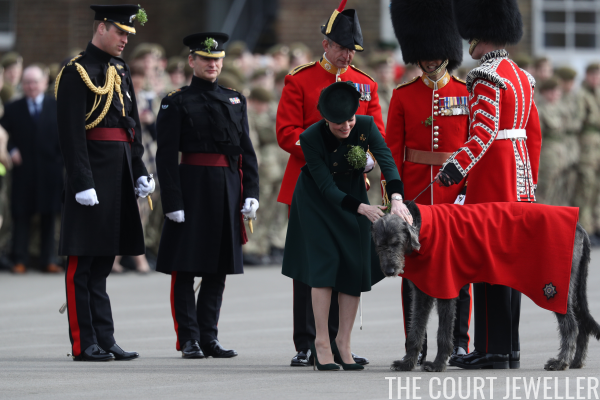 Kate also got to present shamrocks to the regiment's mascot, an Irish Wolfhound named Domhnall.